The Battle of Greenbrier River, also known as the Battle of Camp Bartow, took place on October 3, 1861 in Pocahontas County, Virginia (now West Virginia) as part of the Operations in Western Virginia Campaign during the American Civil War. During the night of October 2–3, Brig. 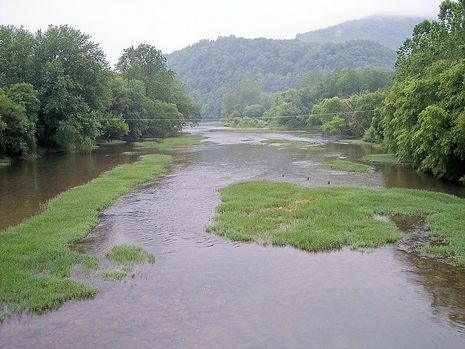 Gen. Joseph J. Reynolds with two brigades advanced from Cheat Mountain to reconnoiter the Confederate position at Camp Bartow on the Greenbrier River. Reynolds drove in the Confederate pickets and opened fire with his artillery. After sporadic fighting and an abortive attempt to turn his enemy's right flank, Reynolds withdrew to Cheat Mountain. 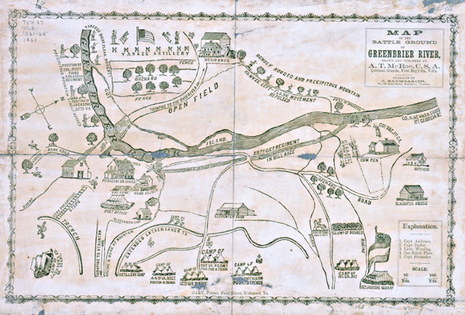 The action officially known as the Battle of Greenbrier River, fought October 3, 1861, on the site of what is now Bartow, Pocahontas County, is one of the almost forgotten incidents of the Civil War in West Virginia. Perhaps this is so because, after hours of spirited fighting, the results were so indecisive. The attacking Federal troops returned to their camp, while the defending Confederates retained their entrenched and fortified position. Indeed, the action has often been confused with later affairs at Greenbrier Bridge and other points on the lower reaches of the river.